in the port of Amsterdam under the name Ozer Container Services BV. In order to offer our customers the highest level of service, we now also offer our customers storage facilities in Amsterdam to load their containers. 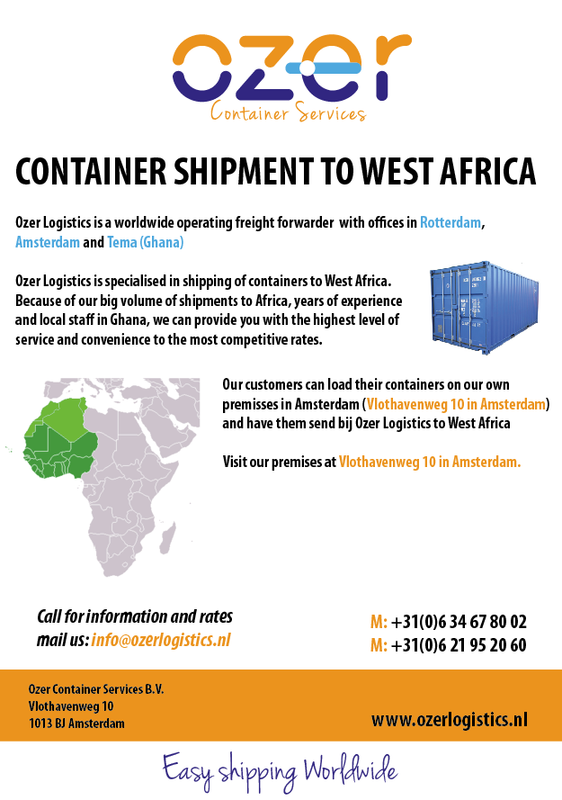 The premises of Ozer Container Services BV is located at the Vlothavenweg 10-K in Amsterdam Westpoort. It’s located at a walking distance from trainstation Sloterdijk.